Powerful technology paves way for early interventions to prevent heart attacks developed by international team involving Leicester researchers. People at high risk of a heart attack in adulthood could be spotted much earlier in life with a one-off DNA test, according to new research part-funded by the British Heart Foundation and published today in the Journal of the American College of Cardiology. An international team led by researchers from the University of Leicester, University of Cambridge and the Baker Heart and Diabetes Institute in Australia used UK Biobank data to develop and test a powerful scoring system, called a Genomic Risk Score (GRS) which can identify people who are at risk of developing coronary heart disease prematurely because of their genetics. Genetic factors have long been known to be major contributors of someone’s risk of developing coronary heart disease – the leading cause of heart attacks. Currently, to identify those at risk, doctors use scores based on lifestyle and clinical conditions associated with coronary heart disease such as cholesterol level, blood pressure, diabetes and smoking. But these scores are imprecise, age-dependent and miss a large proportion of people who appear ‘healthy’, but will still develop the disease. People with a genomic risk score in the top 20 per cent of the population were over four-times more likely to develop coronary heart disease than someone with a genomic risk score in the bottom 20 per cent. In fact, men who appeared healthy by current NHS health check standards but had a high GRS were just as likely to develop coronary heart disease as someone with a low GRS and two conventional risk factors such as high cholesterol or high blood pressure. These findings help to explain why people with healthy lifestyles and no conventional risk factors can still be struck by a devastating heart attack. Crucially, the GRS can be measured at any age including childhood as your DNA does not change. This means that those at high risk can be identified much earlier than is possible through current methods and can be targeted for prevention with lifestyle changes and, where necessary, medicines. The GRS is also a one-time test and with the cost of genotyping to calculate the GRS now less than £40 GBP ($50 USD) it is within the capability of many health services to provide. 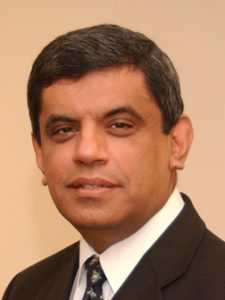 Senior author Professor Sir Nilesh Samani, Cardiovascular Theme Lead at the NIHR Leicester Biomedical Research Centre and Medical Director at the British Heart Foundation said: “At the moment we assess people for their risk of coronary heart disease in their 40’s through NHS health checks. But we know this is imprecise and also that coronary heart disease starts much earlier, several decades before symptoms develop. Therefore if we are going to do true prevention, we need to identify those at increased risk much earlier. “The completion of the first human genome was only 15 years ago. Today, the combination of data science and massive-scale genomic cohorts has now greatly expanded the potential of healthcare. This study was supported by funding from the British Heart Foundation, National Health and Medical Research Council (NHMRC, Australia), the Victorian Government and the Australian Heart Foundation. It was supported in Leicester by the National Institute for Health Research (NIHR) Leicester Biomedical Centre – a partnership between Leicester’s Hospitals, the University of Leicester and Loughborough University. Journalists can contact the Leicester BRC on 0116 2584971 or use the button below. Be the first to hear news and events from Leicester BRC, delivered straight to your inbox. Our Partners The NIHR Leicester Biomedical Research Centre is a partnership between Leicester’s Hospitals, the University of Leicester and Loughborough University.